FACT CHECK: Did 'Liberals' Set Up a GoFundMe Campaign for Murder Suspect Cristhian Rivera? Did ‘Liberals’ Set Up a GoFundMe Campaign for Murder Suspect Cristhian Rivera? A hyperpartisan Facebook page spread a fake and inflammatory meme after the death of Iowa college student Mollie Tibbetts. 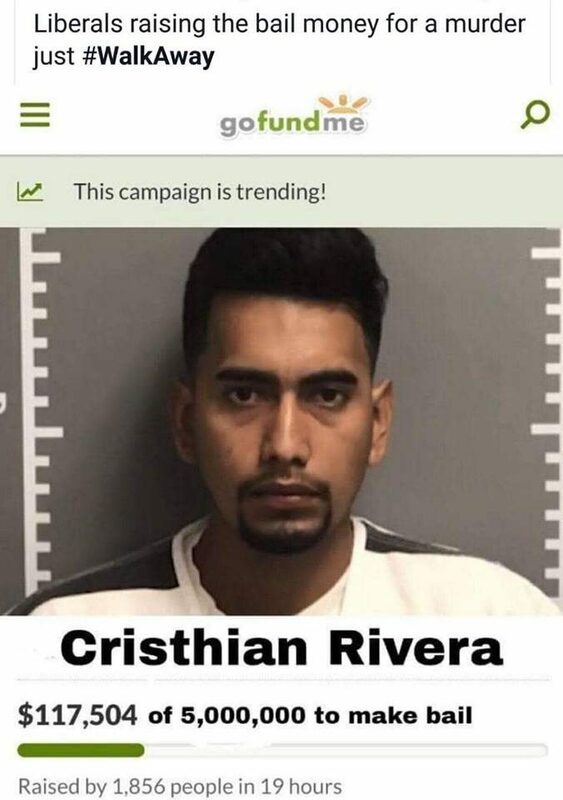 In August 2018, "liberals" started a GoFundMe campaign to raise murder suspect Cristhian Rivera's $5,000,000 bail. In August 2018, police in Iowa charged 24-year-old Cristhian Rivera with the murder of Mollie Tibbetts, a 20-year-old college student who had gone missing while jogging more than a month earlier. The investigation into the disappearance of Tibbetts had been closely followed on a national level for weeks, but the arrest of Rivera, who authorities say is an undocumented immigrant from Mexico, prompted some commentators — led by President Donald Trump — to bring her death into the realm of politics. The politicization of Tibbetts’ death continued in the days following the arrest of Rivera, whom authorities in Iowa say led them to her remains and has confessed to the murder. #WalkAway is an online campaign which purports to represent individuals who have left the Democratic party, supposedly in dismay at left-wing policies and vehement criticism or disparagement of President Donald Trump. A Twitter tracking tool called Hamilton68, which is run by the Alliance for Securing Democracy, has found that Russian bot networks have boosted the spread of the #WalkAway hashtag. We need a very powerful lawyer of group of lawyers to sue these tech companies for violation of public accommodation laws. As well being crudely doctored, the “Uncle Sam’s Misguided Children” meme does not follow either of these formats, which establishes that it is a fake. No campaign relating to Cristhian Rivera’s bail existed on GoFundMe as of 24 August 2018, as a quick search of the website shows. (Neither did any such campaign exist under “Christian Rivera,” as the suspect’s name is sometimes misspelled, or “Cristhian Bahena Rivera,” his full name.) Furthermore, no such campaign had ever existed. 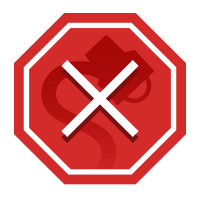 The purported name of the campaign in the “Uncle Sam’s Misguided Children” meme is simply “Cristhian Rivera,” but a Google search for a GoFundMe campaign of that name does not yield any residual webpages — another sign that no such campaign ever existed. “Uncle Sam’s Misguided Children” is a hyperpartisan Facebook page which frequently posts misleading or fake content and memes, some of which we have debunked previously. The Associated Press. 22 August 2018.